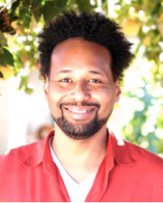 Jozen Tamori Gibson began formal meditation practice and study in 2004. He is the Director of Community and Youth Engagement and sangha facilitator with the Brooklyn Zen Center (BZC), and Program Director for the Awake Youth Project. A participant in the 2017-2021 IMS Teacher Training Program, Jozen highlights all of his teachers especially his mother, Akimi, and root Dharma teacher, Pamela Weiss.